Every so often, I go back and revisit one of the old classics of the out-of-body experience genre. This time I'm reviewing Practical Astral Projection by Yram. Yram was a pseudonym for a Frenchman named Marcel Louis Forhan. The French were really the first non-occultist pioneers of the modern era, starting with Charles Lancelin's book Méthode Dédoublement Personnel (published in the late 1800s or early 1900s; the earliest I found was from 1910), and then Forhan's/Yram's book. And Forhan was way ahead of his time. One of the biggest downfalls of this book is that the book was written in French and translated into formal British English. And while the English is flawless, it's difficult to read. He tries to explain some of his observations in terms of science, but the science of the 1800s was primitive compared to today. He tries to explain things in terms of electricity, nuclear reactions and such. It's way outdated, but interesting from a historical perspective. Remarkably, some of his writings foreshadow the existence of what today's scientists now call "Dark Matter." He does OBE experiments with it, pushing his arms through it and such. Absolutely fascinating stuff! I was surprised to read that, like a handful of others, he also describes having met Jesus on more than one occasion. I had forgotten all about that. "Realize the abominable way in which you are being exploited materially, morally, and intellectually. Decide, once and for all, to conquer the routine existence and preconceptions of our social state. Believe me, you will never regret having made the effort." (pg. 192-193). That's quite a statement for 1910 France, don't you think? The book is 253 pages, with small margins and small font, so despite its smallish footprint, there's a lot of content. I'm giving this book 3 and a half stars out of 5. On the good side, there were no grammar or spelling mistakes whatsoever. On the bad side, the text is a bit cumbersome and difficult to read. There's lots of good information and a few tips, but hardly any actual complete OBE techniques. Great review Bob. Yram seems right up my alley. I had a similar experience. 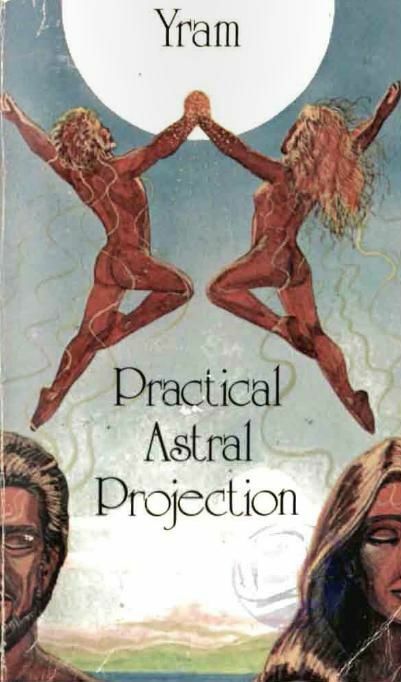 When I first started to project i wanted to test “Christ consciousness” in the astral. I came upon a mirror in which somehow “Christ consciousness” instead came out as me saying “I am Jesus Christ” as i gazed in the mirror. My intent wasnt set deep enough. Anyway....suddenly in the mirror as I recited “I am Jesus Christ” my eyes began to bulge and my face distorted. So i immediately segued to “I am love” in which my face returned to normal. Weird. What are the best techniques to learn Astral Projection and where can I learn them? Thank-you for the site, Bob!